Press Release from V&A Dundee - D.C. Thomson & Co. Ltd.
V&A Dundee’s 3D Festival, a two-day celebration of design, music and performance to mark the opening of the new museum, has received £250,000 of sponsorship. Three companies with close links to the city have pledged their support to the festival which is being co-designed by young people from across Dundee, working alongside promoter and events company DF Concerts and Events. A funding boost is also coming from the charity Arts & Business Scotland. Award-winning wealth managers Brewin Dolphin, which has an office in Dundee, is one of the firms backing V&A Dundee’s 3D Festival. DC Thomson, a leading media organisation headquartered in the city, is also supporting the two-day festival. The Northwood Charitable Trust, the Thomson family’s private charitable trust, and DC Thomson have both gifted significant funds for the development of the new museum. Further support has been pledged by NCR, a global supplier of self-service technology. The business, which employs 500 people in its Dundee Research and Development Centre of Excellence, designed and built its first ATM in the city more than 40 years ago. Arts & Business Scotland, which promotes collaboration between Scotland’s business community and the arts and heritage sectors to deliver new cultural projects, is also providing match funding for NCR’s sponsorship of the 3D Festival via its Culture & Business Fund Scotland. V&A Dundee’s 3D Festival is a key event in Scotland’s Year of Young People 2018, a year-long programme of events and activities. The 3D Festival will open on the evening of Friday 14 September, the eve of the museum’s official opening, and will continue through the day on Saturday 15 September. The full line-up will be announced soon so members of the public are encouraged to sign up to V&A Dundee’s e-news on www.vam.ac.uk/dundee for the latest news and updates and the chance to register for tickets when they are released. The 3D Festival will run from Friday 14 September to Saturday 15 September to mark the official opening of V&A Dundee. It is being co-designed by V&A Dundee’s Young People’s Collective and managed by DF Concerts & Festivals on behalf of V&A Dundee. The two-day festival is a key event in the Year of Young People 2018. 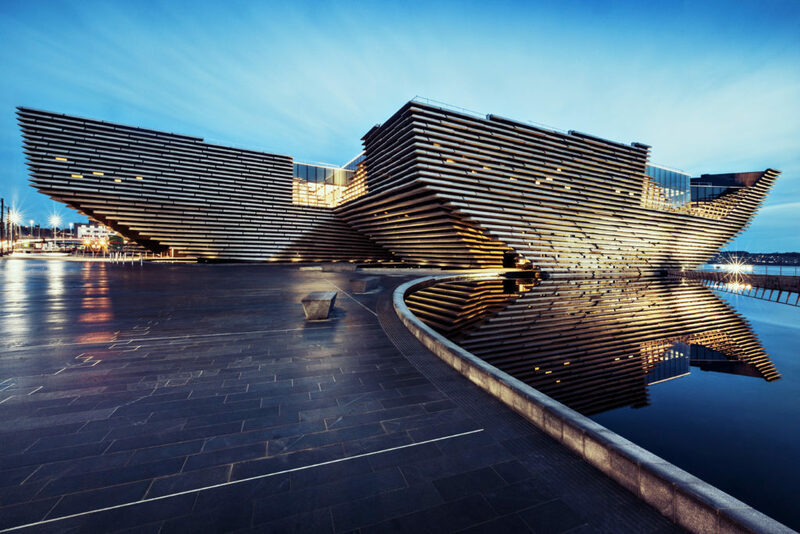 V&A Dundee opens on Saturday 15 September 2018.